Fritz Porter is a Partner at WestEnd Advisors, Co-Chief Investment Officer, and a Portfolio Manager for the firm’s investment strategies. In addition to his portfolio management responsibilities, Fritz leads the firm’s research meetings and conducts macroeconomic, sector and security analysis. 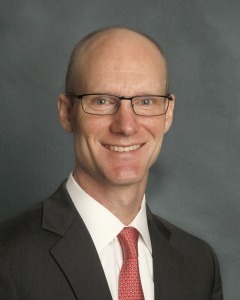 Fritz entered the financial services industry in 1999 and joined WestEnd Advisors in 2008. Prior to joining WestEnd, he held asset management and investment banking positions at Wachovia Securities, U.S. Trust, and State Street Global Advisors. Fritz holds the Charted Financial Analyst (CFA) designation. He is a graduate of Davidson College, where he received his B.A. degree, and he earned his MBA from Duke University’s Fuqua School of Business.